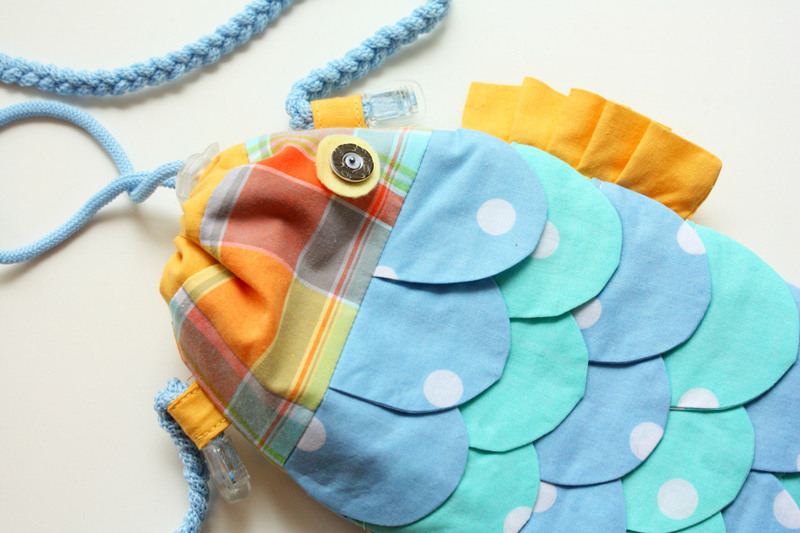 Fish Bag Tutorial ~ DIY Tutorial Ideas! 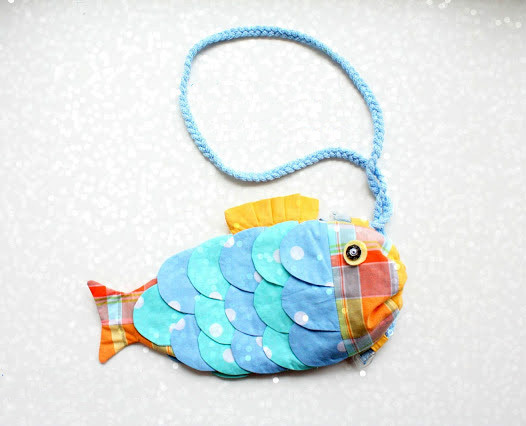 Cute Fish Handbag for Kids. DIY Tutorial in Pictures. 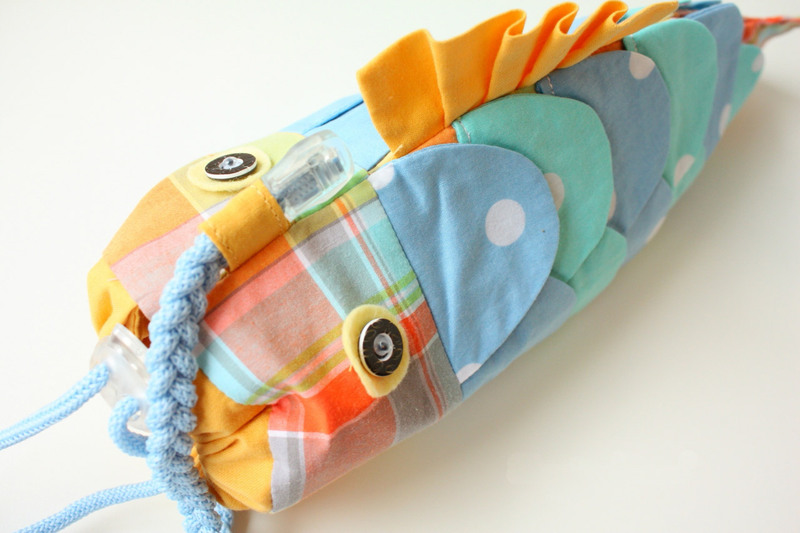 You can pull open the fish’s mouth to load stuffs in it, and then pull the side strings to close the mouth. 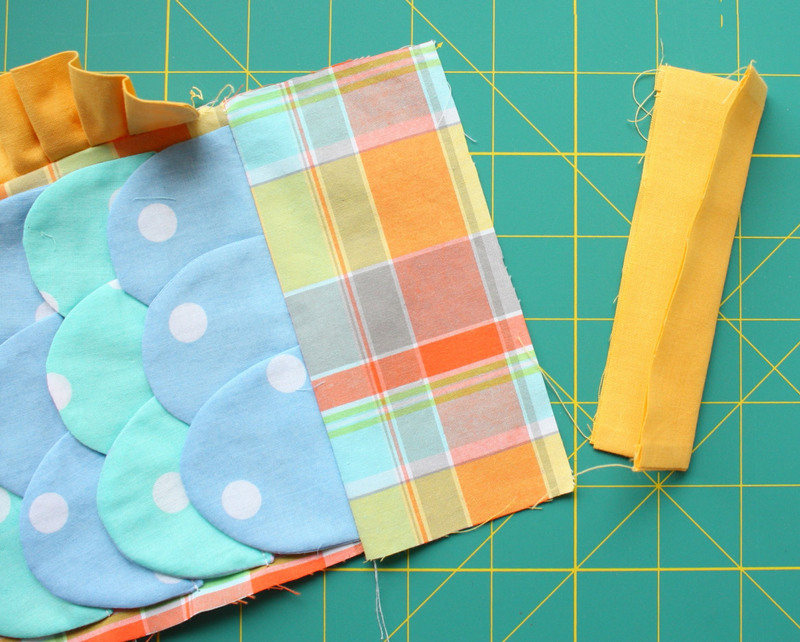 The bag is sewn very simply and the pattern is also very simple. I took on the central line of 27 cm, and the width of the neck 13 cm. Everything else depends on your imagination. It will be a long fish or a fat fish. The outer side of the bag consists of 4 parts. The body will have to be cut along the transverse line (it can be seen in the figure). 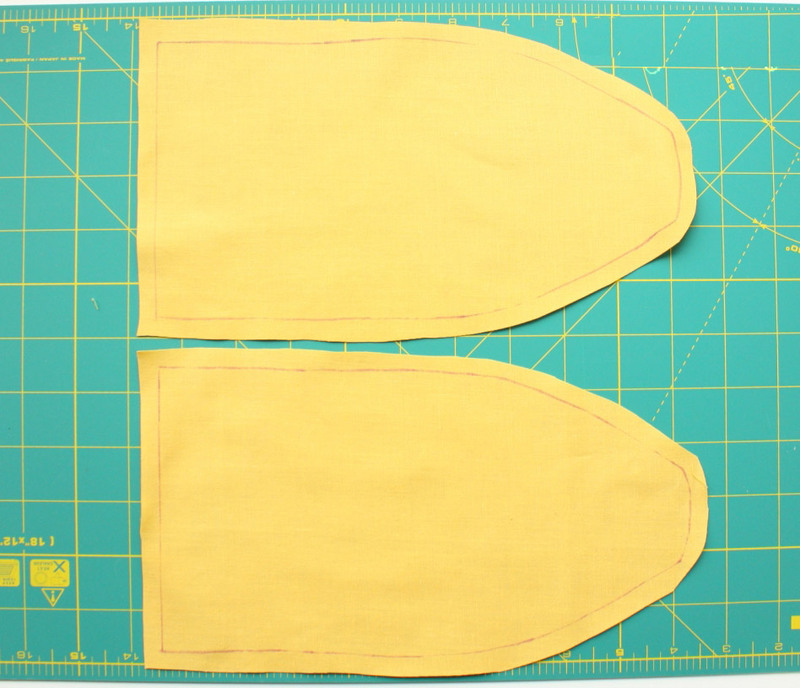 The lining is whole, but without a tail. The size of the scales and their number can also vary. I have a diameter of a semicircle - 6 cm. We cut out 4 parts of the outer part of the bag. 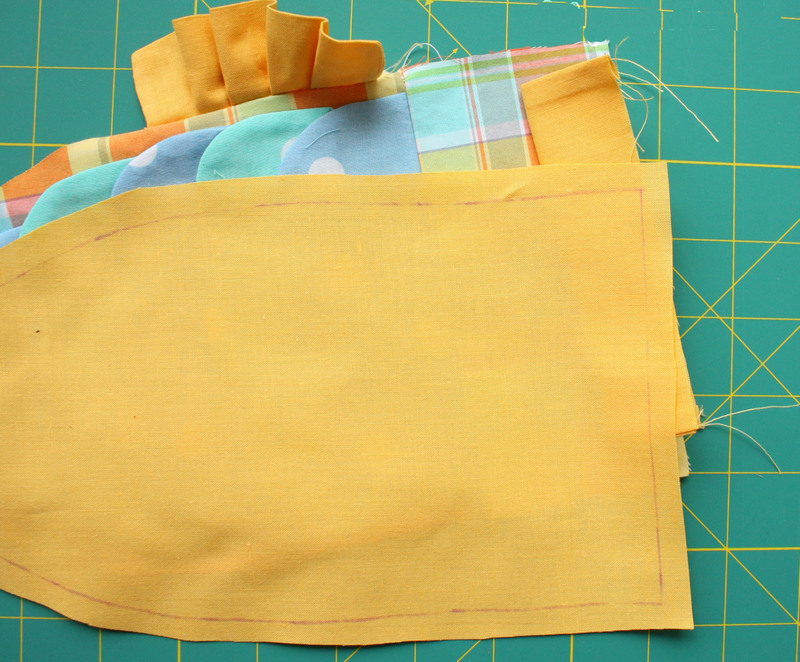 Do not forget to leave allowances on the seams. 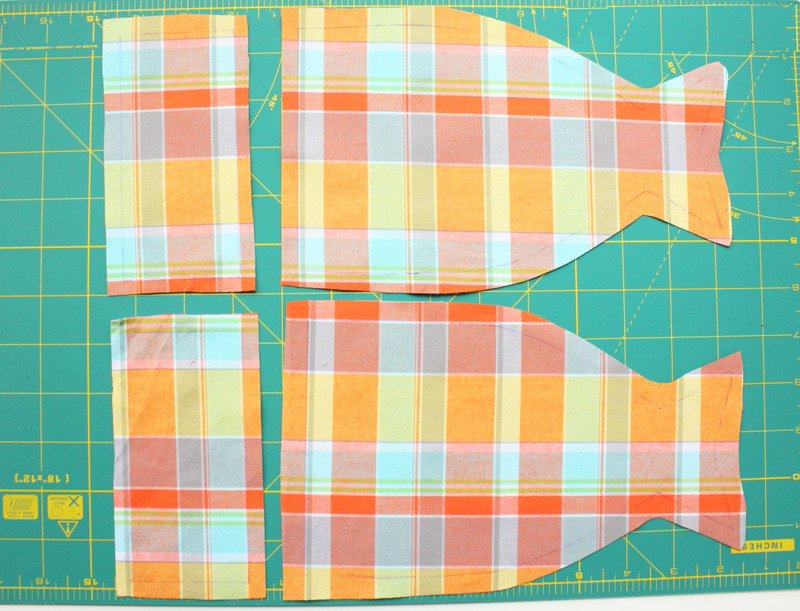 We cut out 2 details of the lining. 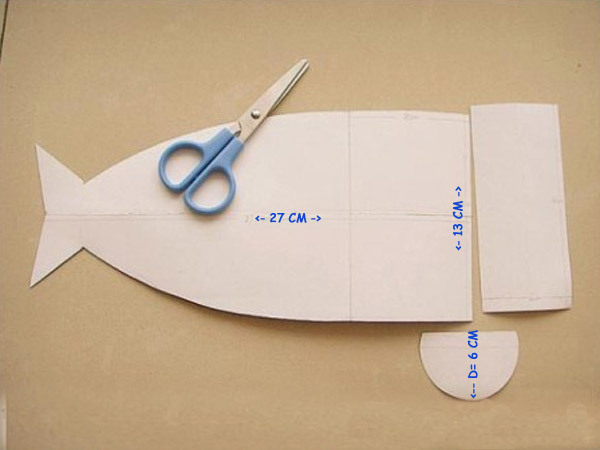 Here, the fish do not need to be cut into 2 parts, the lining is intact, but the tail is not needed. 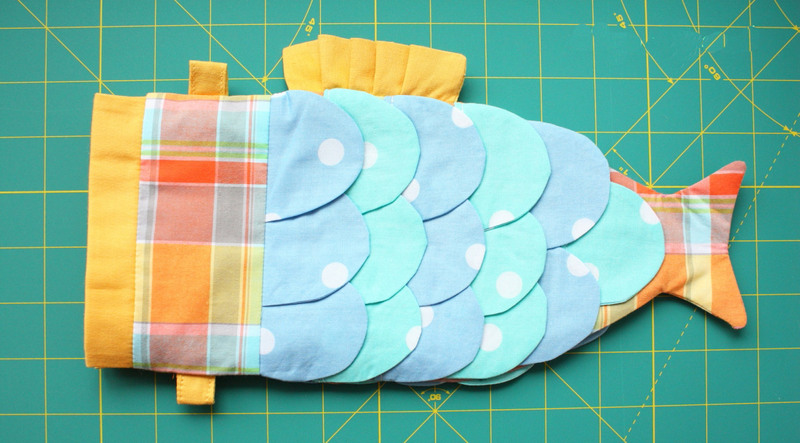 Sew, and then cut out the fish scales. I needed 15 flakes per half, and 15 scales for the other. Only 30 pieces. We cut out the scales with Zig-Zag scissors so that they do not fray, we turn out, we press it. 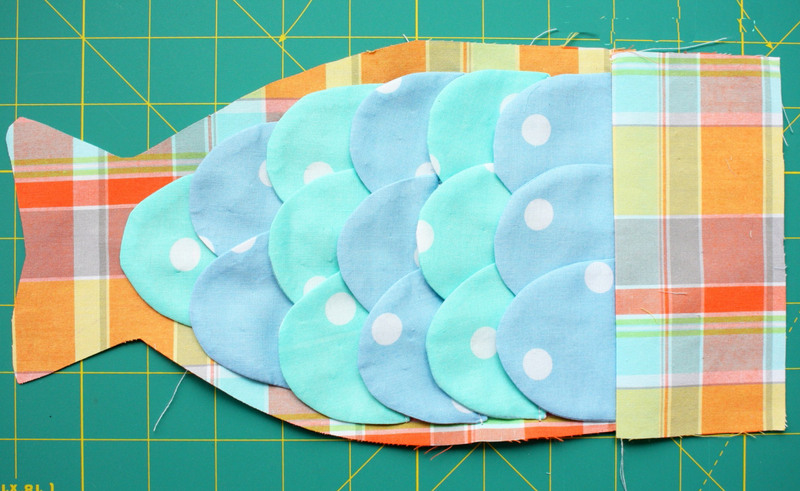 Now we sew 2 parts of the trunk of the fish and the first row of scales. 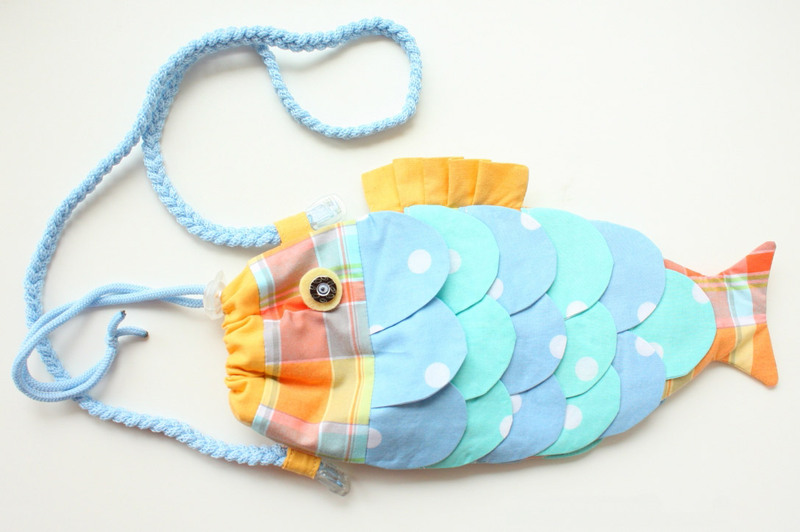 One half of our fish bag is ready. The same thing we do with the second half of the bag. 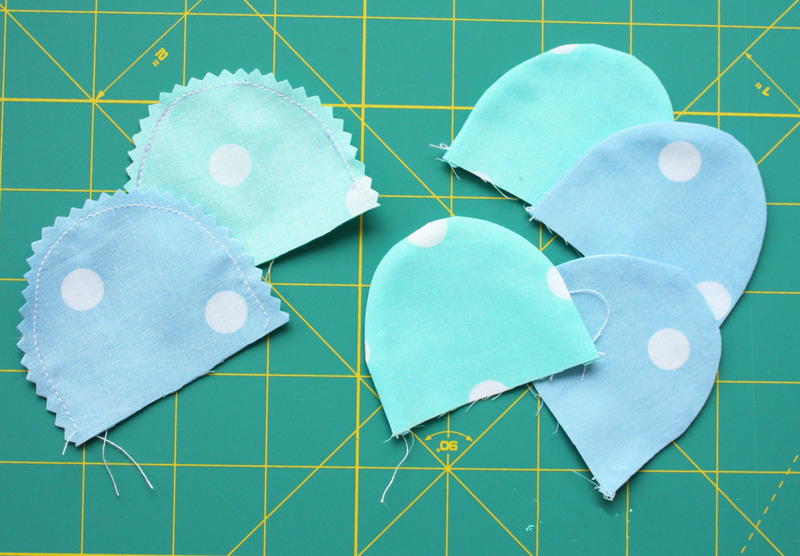 I made a fish fin of a strip of fabric under the color of the lining, but you can make it from contrasting fabric or lace. 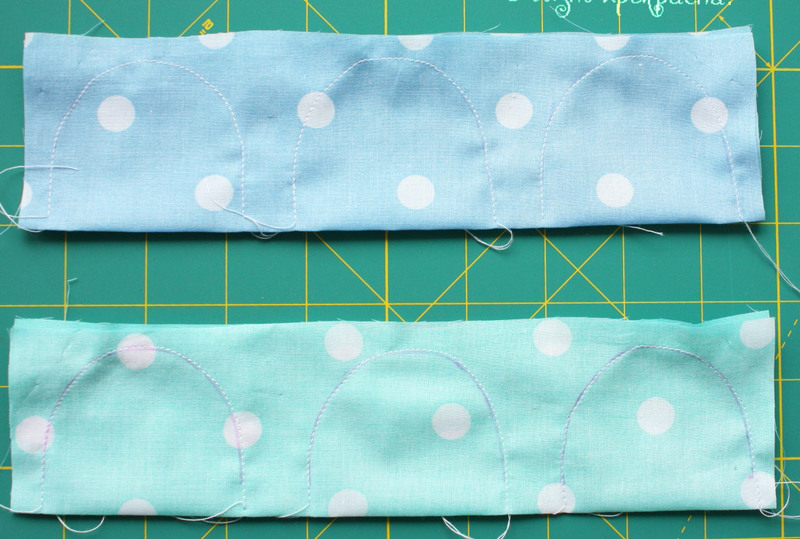 Fold the fabric in half, sew the side seams. We turn it, we iron it. 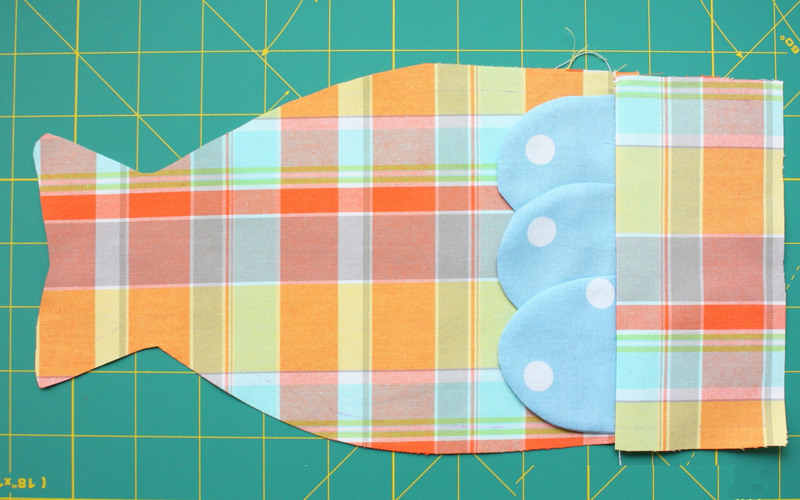 Sew the fish to the body. Now we pass to the lips of the fish, then they will thread a cord in order to tighten these lips and close the purse. 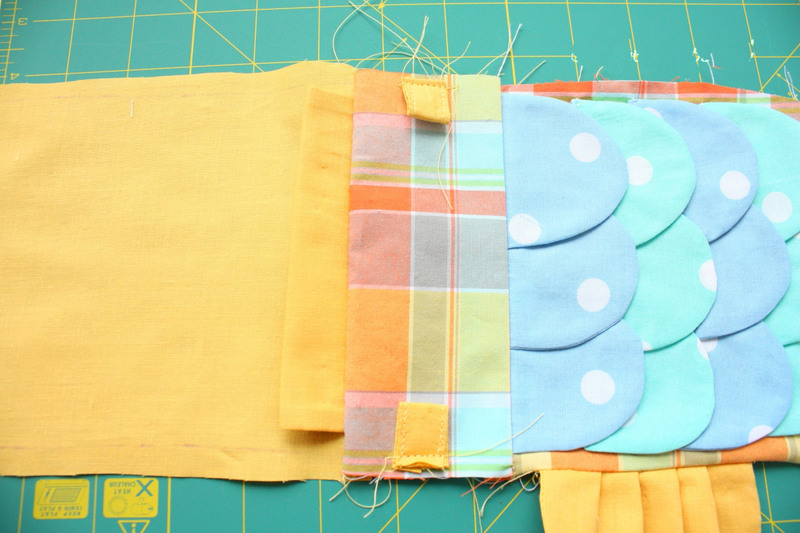 Cut out 4 strips of fabric. Length (in my case) 13cm. Width 3 cm. 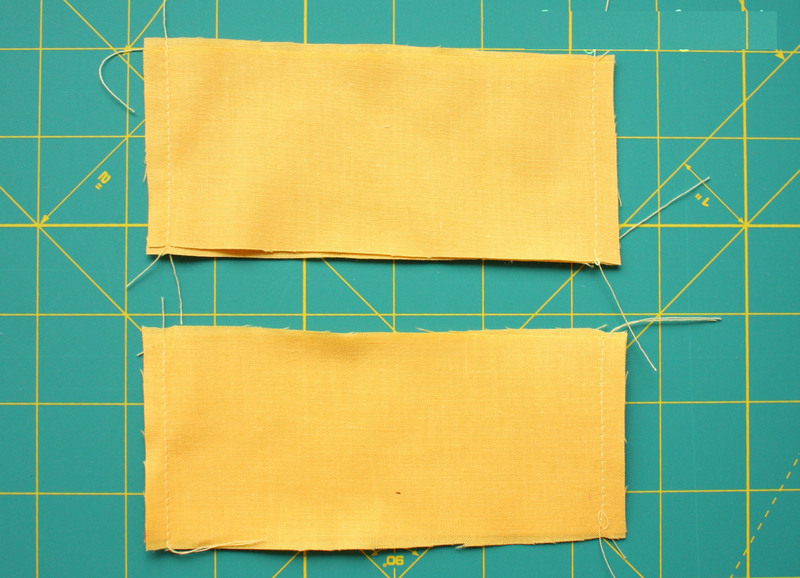 Do not forget to add 1 cm on each side for allowances for seams. We turn, fold in half. 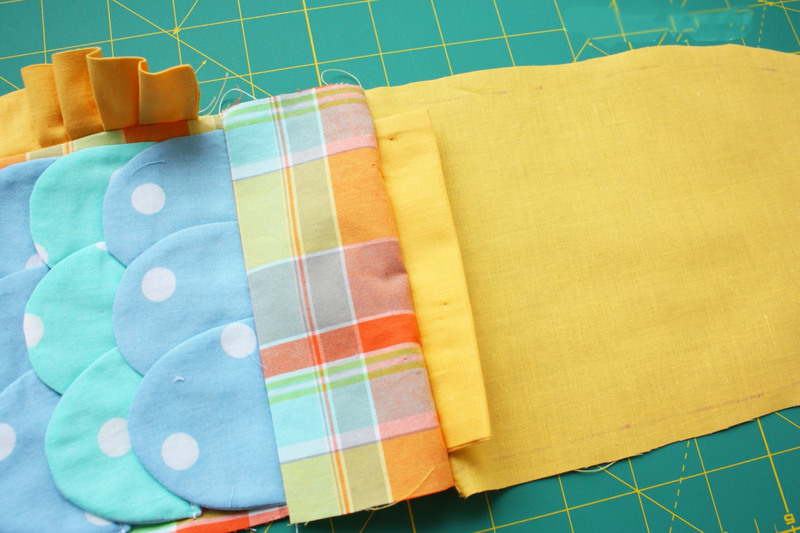 Now you need to sew 3 parts. 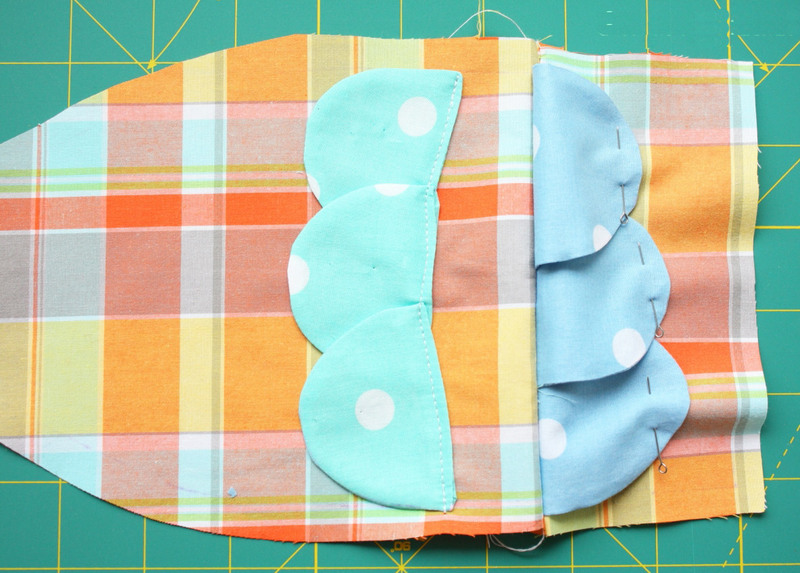 The outer part of the fish, strip-mouth and lining. 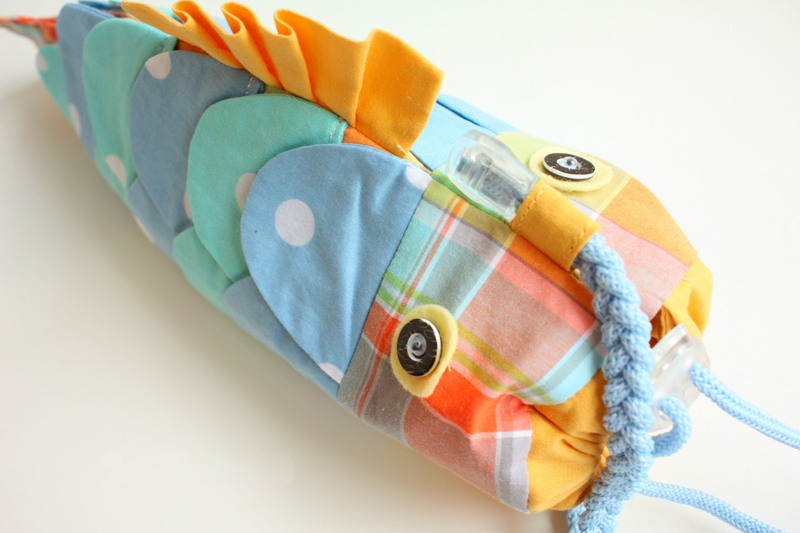 We also sew the second half of the fish. 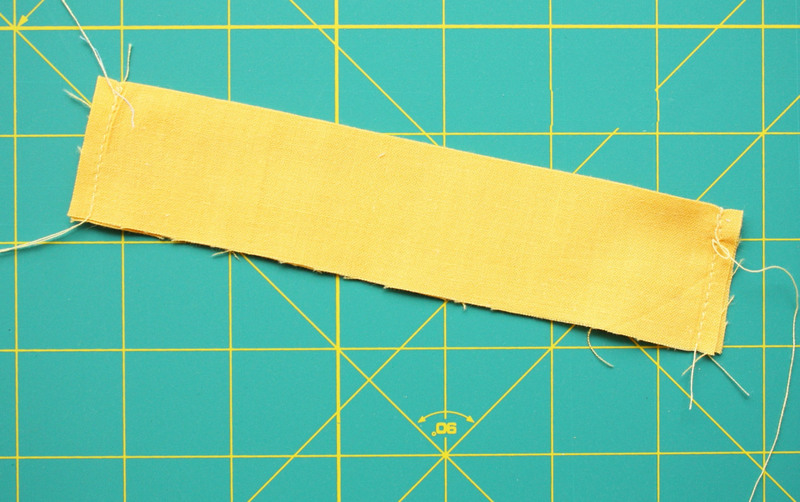 The seams are smoothed. 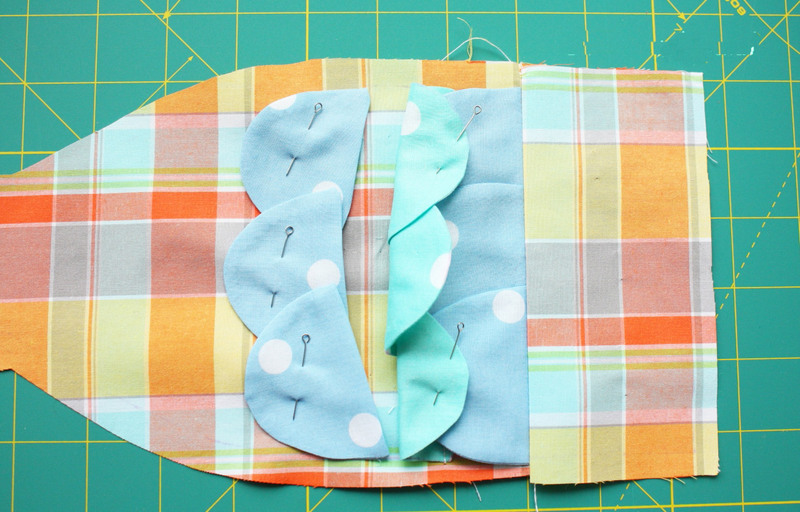 For the strap, I sewed two strips of fabric, but you can sew the cord directly into the side seam. 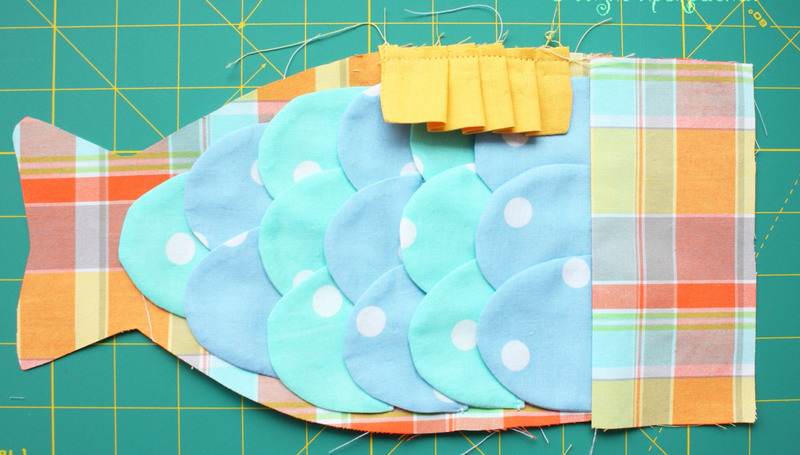 add two pieces of fish and sew in a circle, leaving a small piece so that you can then turn the purse. 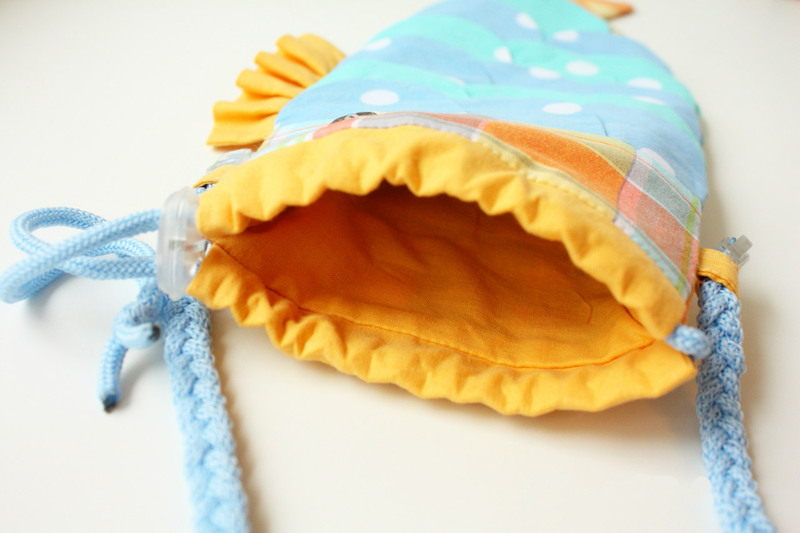 We turn out, sew a hole with a secret seam. We sew our eyes, we insert a string.